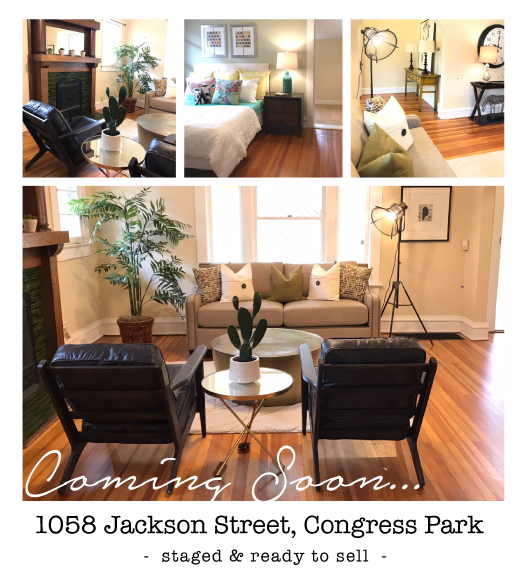 SOLD: 1058 Jackson Street, Congress Park - Bungalow living in the heart of Congress Park. Adorable two bedroom, one bathroom with the gobs of charm and elegance. Well maintained hardwood floors with tall baseboards, a spacious kitchen with lots of storage and counter space. The walk-in closet off the Master is a fashionista's haven. The skylights are really a nice touch in the sun room and in the back room. A detached (2) car garage so you never have to scrap snow off the windshield again. And... outdoor space so you can plant a garden, entertain and give your four legged room mates ample room to roam. PRICE: $506,000. SOLD: 5101 West Wagontrail Rd, Bow Mar - Our Buyer's feel in love with this stunning renovated mid-century modern home in sought-after Bow Mar. The great room features an open floorplan with custom fireplace, sky lights and vaulted ceilings. Wide plank oak floors. Gorgeous, state of the art kitchen was featured in the Oct/Nov ’17 issue of 5280 magazine. Price: $1,475,000. SOLD: 7978 E. 25th Avenue, Stapleton - Impeccably maintained and constantly improved through the years. 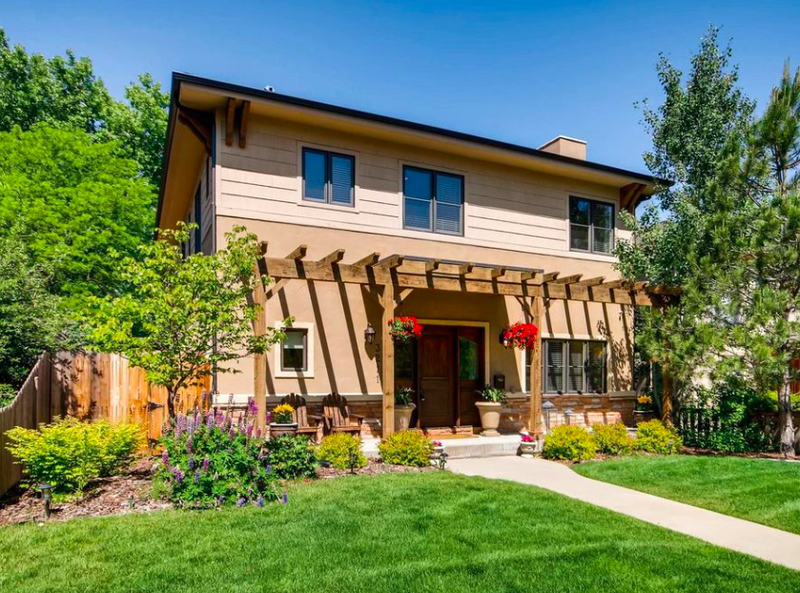 This home is a classic Stapleton gem that you won't want to miss. Oversized bedrooms, new solar system, an Epicurean kitchen, & a fully finished basement built to entertain. This home is decked out and offers more than the usual living spaces in this neighborhood. (3) bedrooms on the second level with a Master Suite you'll fully embrace. The ease of a 2nd floor laundry room, a spacious backyard, and custom closet systems in every room. Stapleton is a community that you can easily find your place within… from the walkable schools, well regarded eateries & shopping, the countless pools and rec center. Stapleton has something for everyone. Price: $892,000. SOLD: 2518 Syracuse Street, Stapleton - A charming McMansion town home nestled in the heart of Stapleton with a great story to go with it... the Seller ran into difficulties with their initial Buyer and because Lisa kept in contact with the Seller's Agent, even after it went under contract she was the first person the Broker called when the initial contract started to fall apart. Needless to say, it helps when you have solid Broker relationships in the industry, and it was a win win for the Seller and for Lisa's Buyers. a home gym. It’s stunning! Feel confident in your investment with the newer roof, newer paint, newer backyard, new basement carpet, and a new radon mitigation system. This home has been lovingly maintained with attention to detail, showing pride in ownership. This remarkable home is move-in ready... don’t miss it! PRICE: $710,000. SOLD: 391 Clarkson Street, Alamo Placita - An Urban Home with Contemporary Dazzle. Forgo the unnecessary formalities and feel right at home… Walk in and immediately embrace the minimalist elegance of this Alamo Placita home. The exterior gives a nod to the masonry tradition of the neighborhood, and yet offers a nice departure from ordinary. Three levels above ground with (4) bedrooms, (5) bathrooms and a fully finished basement for even more living space to entertain. The floor to ceiling windows, glass panel doors, and countless outdoor verandas hint to the homes seamless indoor-outdoor connection. Beautiful rooms that are enhanced with diverse views. The backyard off the kitchen is a true enclave and has an earthy feel without losing it’s modern vibe. PRICE: $975,000. 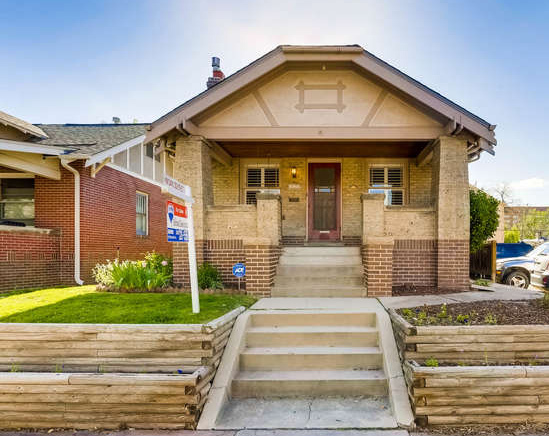 SOLD: 525 N. Pearl Street, Denver CO 80203 - A "genuine" Denver Bungalow nestled in the desirable Capitol Hill Neighborhood. A prime location in the heart of all things cool about living urban. 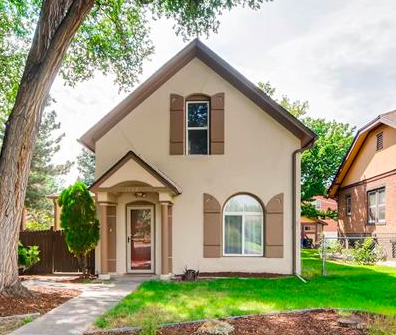 A 3 bdrm / 2 bath home that exudes traditional Denver style with all the required modern necessities. Updated with you in mind... plantation shutters, slab counter tops, stainless steel appliances and a fully finished basement for even more living spaces. The generous sized lot offers notable opportunities for gardening, entertaining and the property has VERY RARE ZONING CAPABILITIES. The lot is legally zoned ADU (Accessory Dwelling Unit) meaning you can add a carriage house, in-law unit or addition on the property. This is not typical in most neighborhoods and it's a great way to add instant equity. Price: $580,000. SOLD: 8123 East 50th Drive, 80238 - Stapleton - Details: 6 Bdrm/ 4 Bath home in the heart of one of the coolest neighborhood in Denver. This gorgeous 2014 Standard Pacific "Poppy" model offered luxury and comfort with a thoughtful open concept floor plan, quality craftsmanship, and designer finishes. Price: $675,000. SOLD: 7700 E. Ellsworth Avenue, Lowry - 4 Bedroom/ 4 Bath Two Story home in the much loved Lowry neighborhood. A classic home with a traditional vibe. The kitchen boasts granite slab counters, substantial cabinetry, modern above cabinet windows for even more natural light, and spacious formal dining space. (3) generous sized bedrooms on the 2nd level with a jack-n-jill bath, with more clever windows in the stairwell and landing. The Master Bedroom offers plenty of room for the king sized bed, and there are his & her closets upon entering the master bathroom. Price: $540,000. SOLD: 9558 Aspen Hill Circle, Lone Tree - Situated in a quiet end of the gated Heritage Hills community this exquisite home offers incredible amenities, finishes, and value. Enjoy tasteful updates throughout with slab granite countertops, tiled backsplash, stainless appliances, plantation shutters, and hardwood floors on both the main and upper levels. The finished basement is complete with a wet bar, full bath, great room, conforming bedroom, and extra storage space. With room for four cars the oversized garage can easily fit all the toys and tools. Conveniently located near endless shopping and dining you’ll find everything you ever need just minutes away, including the Lone Tree Rec Center, Arts Center, Light Rail Station, Golf Course, and so much more. Welcome home! Price: $795,000. Click here to search Additional Active Listings in the Denver Area.